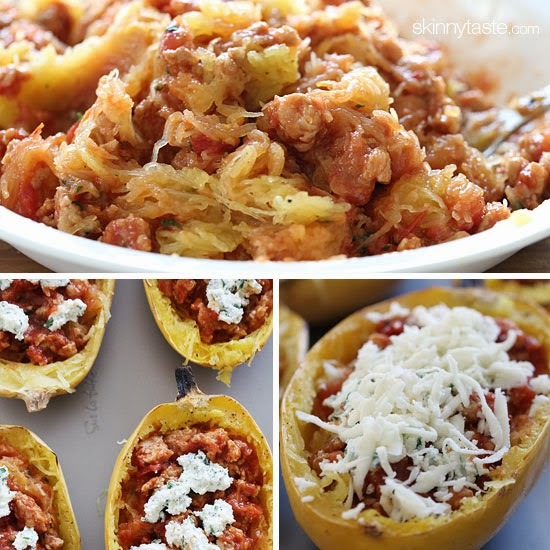 If you're craving something decadent and delicious without overdoing the calories, you'll love these delicious spaghetti squash boats filled with everything you love about lasagna – chicken sausage, tomato sauce, ricotta, parmesan and mozzarella cheese. I even used whole milk mozzarella cheese because I wanted it to melt nice, I just used it in moderation. 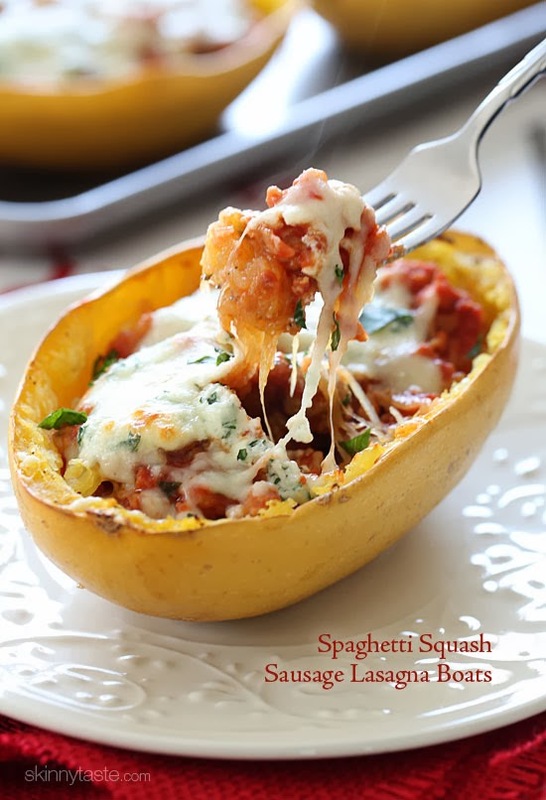 The whole thing is way under 300 calories and 8 points plus if you're on Weight Watchers, and it's filling! It's also gluten free – if you prefer to use part-skim mozzarella, the WW Points would be 7 pp. 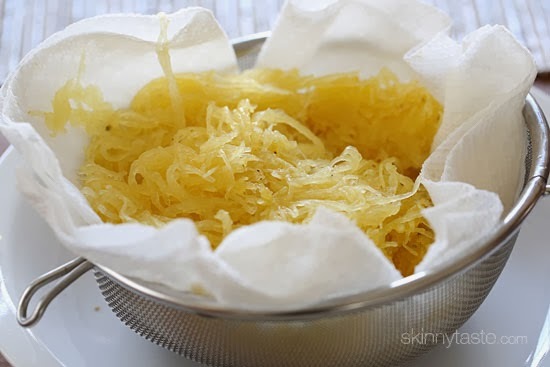 Spaghetti squash when cooked has a lot of liquid, so I find it helpful to place it in a colander over paper towels to help get red of the excess moisture and it works perfectly. 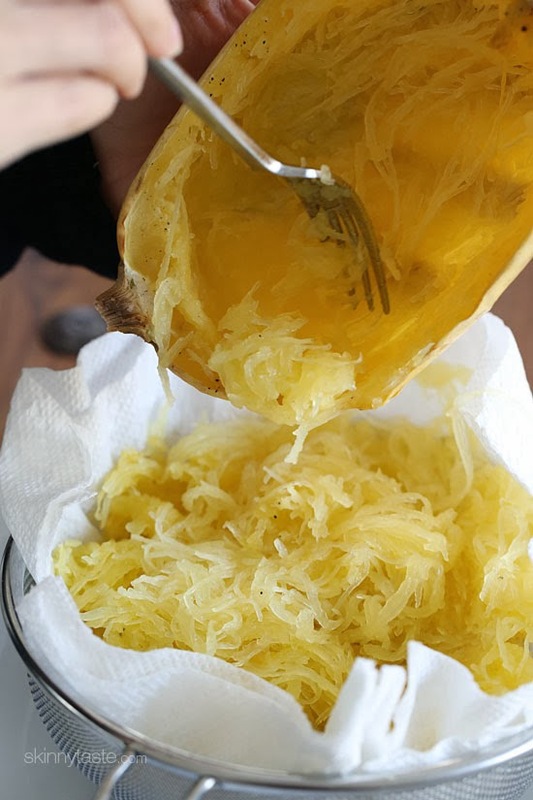 You can prep this ahead of time, then put it on the oven just before you're ready to bake. 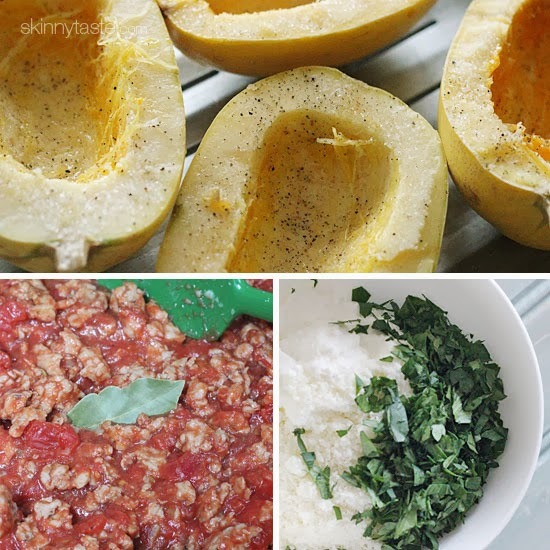 If you happen to only find large spaghetti squash, you can place the mixture in a 9x9 baking dish instead of the shells. Enjoy!! 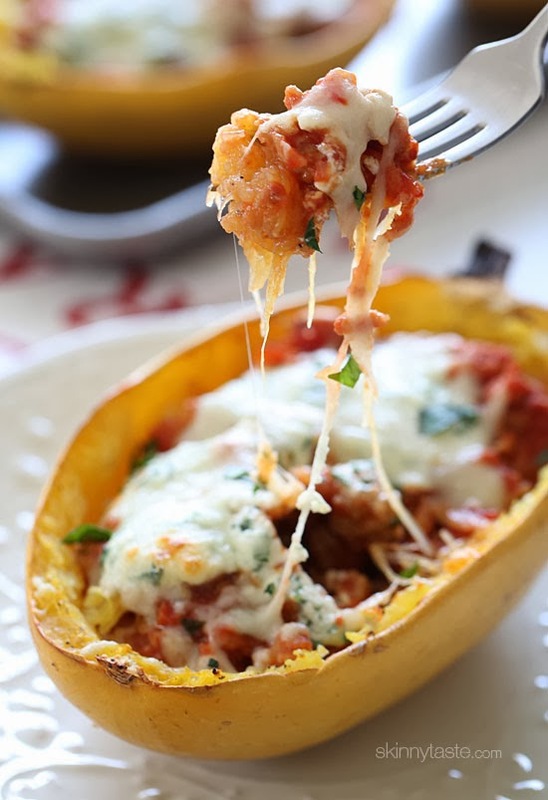 Bake in the oven for 20 - 30 minutes or until everything is hot and the cheese is melted.